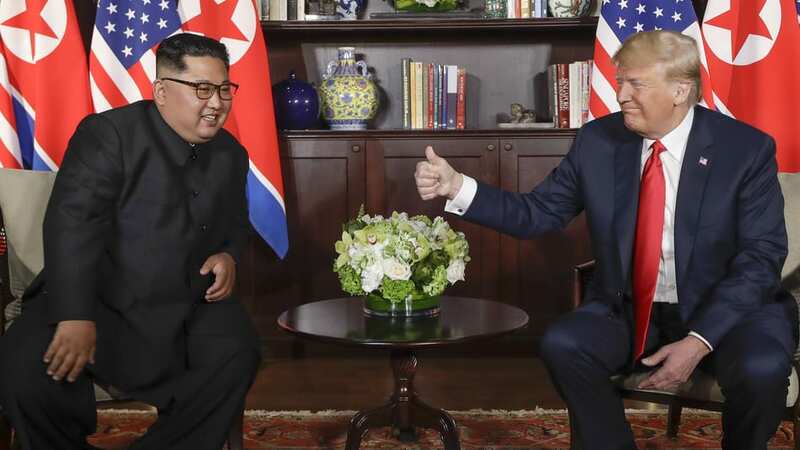 Donald Trump and Kim Jong-un have become the first sitting US president and North Korean leader to meet, an unprecedented development after a year of exchanging threats via twitter and messengers. This has been a stressful and testing ordeal for the two leaders and has taken almost a year to achieve. Back-channel communications, China’s support as well ‘deniable’ compromises from both sides. However, on Tuesday, US President Donald Trump and North Korean leader Kim Jong Un pledged on Tuesday to work toward complete denuclearisation of the Korean peninsula while Washington committed to provide security guarantees for its old enemy. Trump said he expected the denuclearisation process to start “very, very quickly.” US Secretary of State Mike Pompeo and North Korean officials would hold follow-up negotiations “at the earliest possible date,” the statement said. Although, It did not give any details on how denuclearisation would be achieved and made no mention of the international sanctions, it is still a major step to forge an alliance that is heading in the right direction. Critics will suggest that this is a glorified photo opportunity, however, it is much more than any of the past US leaders have ever achieved. The joint statement did say the two sides had agreed to recovering the remains of prisoners of war and those missing in action and repatriating them. If the joint statement does lead to a lasting detente, it could fundamentally change the security landscape of Northeast Asia, just as former US President Richard Nixon visit to Beijing in 1972 led to the transformation of China. Following on from the statements North Korea “commits to work towards the complete denuclearisation of the Korean peninsula” but analysts say it has not made specific commitments have yet been outlined. In turn, President Trump has said the US will stop playing war games with South Korea that infuriate the North. A rather controversial statement admitting to the US involvement in the region. Something the US administration has previously denied. Chairman Kim also agreed to destroy a “major missile engine testing site” and the President reiterated that sanctions won’t be lifted until progress is made on denuclearisation. Trump was joined by Pompeo, National Security Adviser John Bolton, and John Kelly, White House Chief of Staff, for the expanded talks, while Kim’s team included former military intelligence chief Kim Yong Chol, foreign minister Ri Yong Ho and Ri Su Yong, vice chairman of the ruling Workers’ Party. Further announcements will be made over the coming days, where the US administration will outline the decommissioning of further missile sites and process of denuclearisation. Spectators across the globe watch in fascination as this historic meeting gives the financial markets in Asia and the US both a boost and the area some hope.